For every project, designer Marsha Cain strives to create timeless, sophisticated interiors that represent the unique lifestyle and personality of each client. A Scottsdale Interior Design Group also serving Phoenix, Chandler, Gilbert, Tempe and Mesa, with projects in California, Florida, and Amsterdam. Excellent design and execution. Marsha was professional. detailed and thoughtful. She renovated the 8000+ sq ft house with impeccable style, made it turnkey for moving in, and furnished the entire house tailored to our taste. She is a fantastic shopper and found pieces that truly augment my appreciation of the house. I would recommend Marsha without reservation. We remodeled our 3600 sq ft home from a completely Tuscan style to the clean lines and colors of a transitional style. Marsha hooked us up with a fantastic contractor and knew exactly how to orchestrate the process. Her stellar taste, her critical eye and her gentle approach resulted in a very stressful free experience. I pinch myself often when I look around my beautiful home. Thank you Marsha! Marsha provided excellent design advice. She not only listened to needs and wants but also observed what we liked and disliked by shopping with us and spending time looking at various designs, samples, pictures, etc. She made great suggestions and worked with our contractor throughout the process to ensure our designs were carried out as we liked. Marsha has great design sense and she is wonderful to work with on a project! We have worked with Marsha on several occasions. The most recent was revamping an original front double entry door of our home built in the 70's. Marsha suggested the color and hardware for the front door. Also, wood panels were removed and replaced with glass at the vertical center of each door. She had recommended the placement of the glass and gave suggestions for our entry light. She was very clear and decisive of the vision and listened to what we wanted. The doors are great and guests think they are new doors! The doors are refurbished and unique, which was better than new! A few years ago Marsha worked with us on a design on a new home build. She reworked a few areas area that gave us more workable space and a better floor plan! Marsha helped me with a full remodel on my home. The project included the addition of 1200 sq ft, new windows, flooring , new kitchen design, bathrooms, paint, fixtures, faucets, hardware, appliances, countertops, home office. Before I met Marsha I had interviewed about six designers. I felt overwhelmed with the scope of the work. As soon as I met Marsha I knew she was the one! Her mindfulness, knowledge, ability to listen, to understand my needs, wants and budget requirements gave me the confidence to hire her on the spot. Her delivery was impecable and her execution just amazing! I also hired Marsha to work in our commercial space, again, she did a fantastic job. Marsha's integrity, dedication and commitment to excellence are admirable! I highly recommend her. As an architectural photographer I have photographed Marsha Cain’s work on several occasions. Marsha's art background and understanding of lighting is evident in all of her work and as a result our collaborations have been highly successful. One particular shoot was featured by Scottsdale's Modern Luxury Magazine in their September/October issue. Marsha is on time, always prepared and professional. Her projects are a pleasure to photograph and she's wonderful to work with. Marsha Cain as my decorator. She is very personable and talented with an amazing eye for color and texture. Staying with my budget, she found the most spectacular fabrics for draperies and upholstery and unique pieces that fit my house as well as my personality. Marsha truly turned my house into my home! I have hired Marsha to do multiple projects for my home over the last 10 years. These projects have ranged from helping me with window coverings, choosing carpet and tile for my floors, lighting selection for my art work plus lamps for my living room and family room, redoing upholstery, choosing furniture for my family room, bedroom and accent pieces for my front entry and living room and redoing my master bedroom closet. She has a positive attitude and listens to what I want to accomplish. She presents her projects with wonderful drawings so that I know exactly what the finished project will look like. The people she uses for upholstery, flooring, carpentry, flooring, electrical work and painting have been top notch. She stays within my budget and meets deadlines. She is very creative and has come up with wonderful ideas like the cat nappers which are very attractive covers for my sofas and chairs which she designed long before the commercial ones were available. I will continue to use her for my future projects!!!!! I am an interior designer who has collaborated with Marsha Cain many times over the last decade. At times I feel the need to have another set of eyes help with problem solving. Marsha always has valuable input. I find her to have a good balance of professionalism and creativity. She is a good listener that helps the client define and form their ideal end result. She does not impose choices on others but rather empowers them to think outside the box and make selections and decisions that they would have been hesitant or fearful to make. I think that she is particularly good at accessorizing, layering artwork and objects to create an interesting and visually stunning space. I think that anyone would be fortunate to co-create with Marsha on their project. She is kind, a joy to work with and has integrity. Marsha Cain's design sense is impeccable, yet flexible enough to assimilate her clients' peculiarities. I love her appreciation of unique items, the incorporation of which gives a one-of-a-kind look. 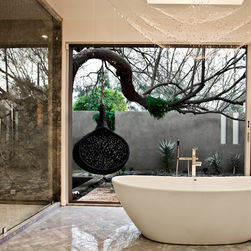 I frequent an amazing home that she designed, top-to-bottom, which is what led me to work with her for my own project. That's how I found out that, not only is her finished product beautiful, but the journey is a pleasure, too. Marsha is wonderful to work with in every way. Marsha's gift is her ability to design your unique personality into your home. There is nothing better than experiencing beauty, exceptional design AND feeling "at home" at home. My dear friend Laura smiled when she walked in and said, "finally, your place reflects you!" I rarely write reviews on-line, but when I found out that there was a site where one could review decorators, I felt compelled to sing Marsha Cain’s praises. She did an extraordinary job with our home renovation and was a complete pleasure to work with. While she has an abundance of good ideas on her own, she excels at listening to her clients, and working cooperatively to expand their ideas into something even better than they imagined. My husband and I own a historic home in Phoenix, and Marsha was able to help us navigate the renovation process, finding reputable contractors and using her discounts to help us save money on fabrics and furnishings. We had never used a decorator before (because I was afraid that it would inflate the cost of decorating), but I wasn’t sure how to marry our taste with the Spanish Colonial architecture of our home in a way that was comfortable for us but honored the home’s architecture. She came through for us and we are delighted with how our home looks and feels. She has a great eye for color and has numerous resources at her disposal. One of our favorite collaborations resulted in taking hand-carved window shutters that were in the old sleeping porch which had been turned into a family room, and using them as the doors to a streamlined, built-in TV and audio cabinet. What could have been an eyesore became the focal point of the room – and saved us from having to buy an armoire. I have seen her work in some more modern homes, and it is equally spectacular. She is a complete professional and an extremely likeable person. I can recommend her without hesitation or reservation. My partner and I retained Marsha Cain Designs for several interior design projects. Without a doubt, Marsha is one of the most talented designers in the business. Marsha's design concepts are exceptional and she takes the time to find out about your particular style and tastes before embarking upon any project. We both feel that Marsha truly listens to her client's needs and wants and then incorporates those needs into a cohesive design that compliments the home and the owners. Marsha has also done design work for my law firm and that project was equally as successful. We cannot say enough positives about Marsha Cain Designs, except she is the BEST!